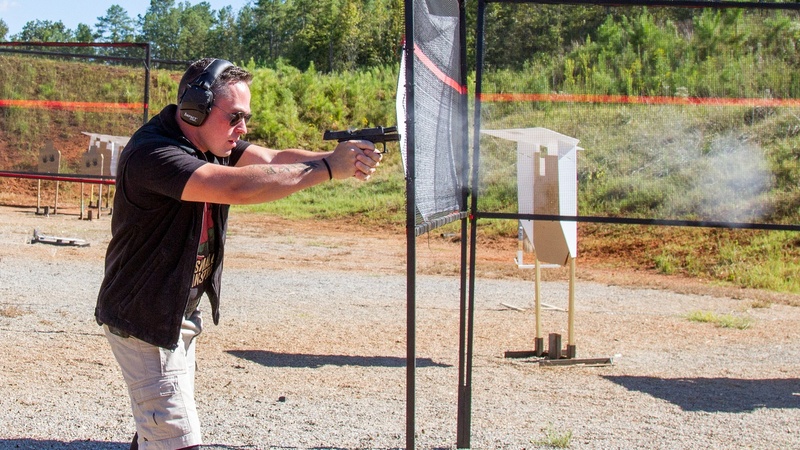 At the 2018 IDPA National Championship in Talladega, Alabama I had the chance to shoot the match using the Beretta APX Centurion pistol. The Centurion is a perfect fit for IDPA CCP and real-world concealed carry. With a short barrel length the gun conceals well in street clothes, but because the grip is sized to hold a 15 round magazine, you can still get a full firing grip. This makes a great combination for competition shooting as well. Because the barrel is short and the gun is thoughtfully designed, the recoil impulse is straight back so the gun tracks very flat in recoil. For the match I used the aforementioned APX Centurion, the only modification was to remove the factory striker spring assembly and replace it with the competition lightweight spring assembly available from the Beretta store. I also blacked out the white dots on the rear sight, leaving me with a high visibility white dot on the front sight and black rears. That combination was pretty good for picking up a fast sight picture, although if I were going to make a serious run at a CCP title next year, I’d change the front sight to a fiber optic. The match itself was interesting - as you shot from Stage 1 to the last stage, the shooting challenges got progressively harder. The IDPA staff, including match director Chad Barber, did an excellent job of managing the flow of shooters through the event. As anyone who has ever shot a major match knows, that can be the biggest challenge for the members of the staff. To my knowledge, I was the only person shooting an APX of any type. In CCP division I finished 9th overall, pulling down a top 10 finish in my first Nationals since 2014. CCP is an interesting division to shoot in IDPA, as the rules limit the capacity of your magazines to eight, so you have to do more planning on any given stage than shooters with 10 in the magazines. You wouldn’t think that an extra two rounds in a magazine makes that big a difference, but since IDPA caps their stages at 18 rounds, a shooter with 10 round magazines will only have to reload once, whereas a CCP shooter has to reload twice. Thankfully, in IDPA you only compete against your division, but if you’re used to shooting competition with 10 in the magazine, CCP will be an adjustment. The APX was awesome to shoot at the match. The ergonomics of the gun naturally bring the sights in line with the eye when the gun is drawn, and the short, crisp trigger means that any bad shots are the fault of the shooter. For me, the shorter sight radius wasn’t an issue, and any disadvantage it may have caused was offset by how fast the short, light gun can be driven transitioning from target to target. 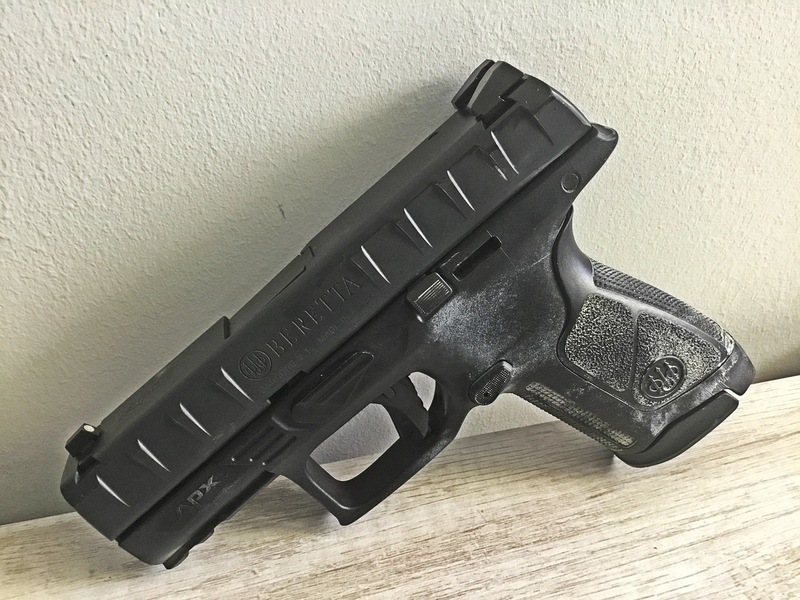 The only real change I’d make to the APX is that I’d apply more texturing higher on the grip of the pistol. For me, the area where you see chalk marks on the gun in the photo needs to be textured, but I’ll address that in a later post. During the course of the match, the gun ran flawlessly, with no failures of any type. The “competition” striker spring assembly lit every primer it hit, the magazines fed every round, and they all hit where the sights were pointing. Sometimes I didn’t have the sights in the right spot, but that’s on me, not the gun. 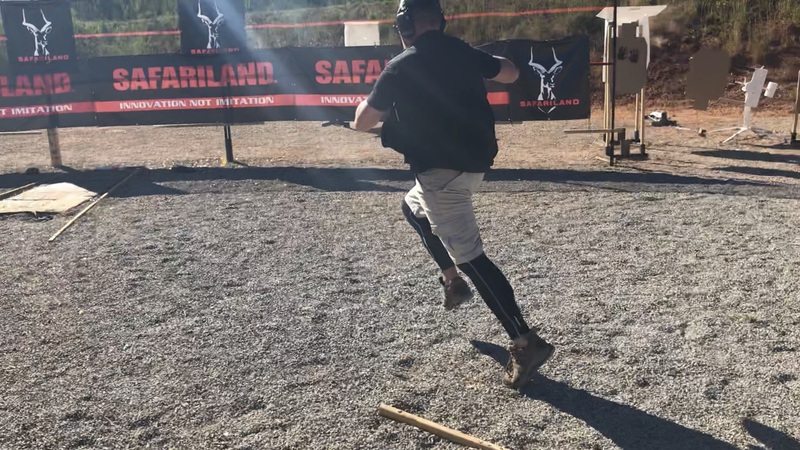 I had a great time at the 2018 IDPA Nationals, and it was awesome to get back to National level competition. If you’d like to see the full match results, check out Practiscore. Caleb Giddings is an writer based out of South Florida. 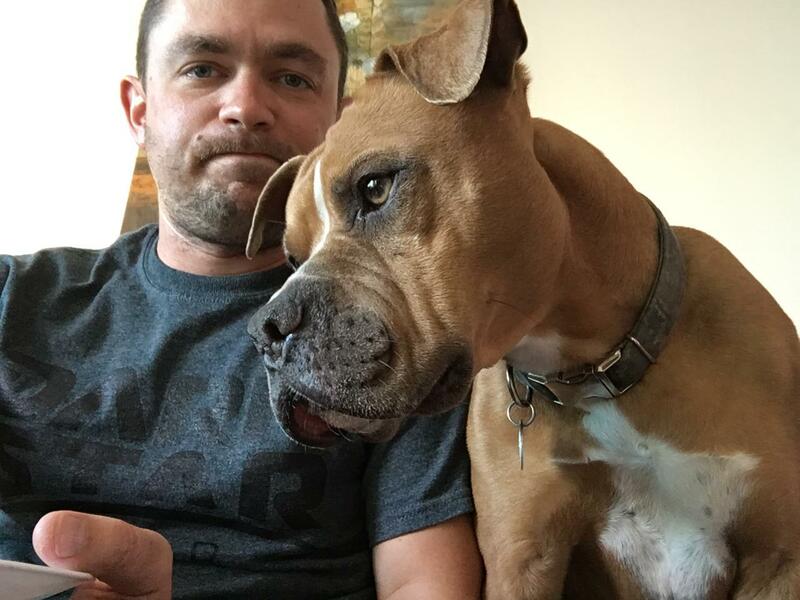 When not serving in the USAF as a Combat Arms Instructor, he spends his time walking his dog.